The Vendors / Exhibitors have been a major factor to the past success of the Piedmont Fire Expo. The Training Committee recognizes this fact and strives to ensure all policies and decisions create a win-win environment for the attendee, exhibitors and the Forsyth County Firefighters Association, and the North Carolina Piedmont Firefighters Association. The following information will assist in making your participation in the Expo a pleasant and profitable event. Attached you will find our exhibitor application. Please read all materials carefully and fill out the application completely. Applications and payment should be submitted by Friday November 30th, 2018; to be added to our show program. All reservations will be confirmed by email. An exhibitor packet will be mailed to you by December 21, 2018. Please indicate the mailing address on the exhibit space contract to send the exhibitor packet. Included in the exhibitor packet will be your confirmation letter and other important information. You will need to check-in at the information booth to receive your vendor badges. All spaces are assigned on a "first-come-first-serve" basis. Each purchased booth space is provided with vendor badges. Any additional badge over the number provided, will be a charge $10 per badge. The Association reserves the right to arrange spaces to accommodate the facilities' features, life safety codes and other needs to enhance the exhibits. The numbers of truck spaces inside the buildings are limited to accommodate multiple vendors. Based on the size of booth space purchased, you will be given the appropriate amount of vendor badges needed to cover for the show. These badges are for your staff and will be required during move in and throughout the Expo. Badges will need to be picked - up at the information booth. You will need to distribute the badges to your personnel prior to move in. Space is provided on the badge for names if desired. Vehicle spaces will be ready for move in on Thursday, January 17th beginning at 10:00AM. You will be able to stage at a secure lot location near the exhibit halls at 8:00AM. We will NOT provide water hoses or an area for cleaning. All trucks must be ready to move in by 10:00AM. Late trucks will not be able to move in. All water tanks must be emptied, fuel caps are to be taped and batteries disconnected via master switch or removing terminals and taped off. Please provide a 3A/40BC Extinguisher at your display. The Fire Marshal will inspect all displays for compliance. You must have a representative present at your booth space until the Fire Marshal has inspected it. If the listed requirements are not met, you will be asked to leave and forfeit your reservation. Tabletop spaces will be ready for move in beginning at 2:00PM on Thursday and 6:00AM on Friday. You may unload at any door but vehicles must be clear of all sidewalks and pedestrian areas by 8:00AM on Friday. There will be 24 - hour security and access control will be provided. Exhibitor badges are required and move in personnel will be limited to your staff and support personnel. Please assist us with security by not blocking open doors and assure doors latch when closing. At the beginning of the Expo the doors will be secured, fire alarm systems armed, HVAC equipment set and will remain until the end of the show. Exhibitors are encouraged to maintain their booths during the entire Exhibit hours in fairness to our paying participants. Exhibitors who leave before the end of the show will forfeit future invitations. and add those options as well. 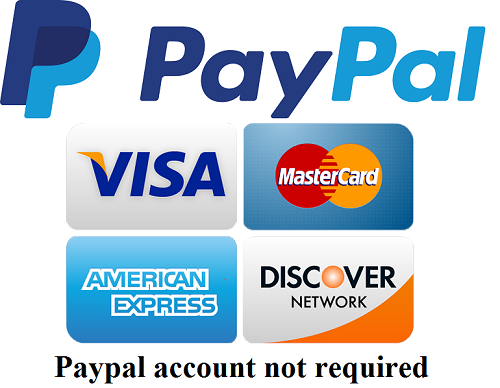 Then go to the PayPal tab that will be open and complete the payment. This will also obtain the Contact Person's information.